Ø The lawyer’s final motion sought to summon and examine the witnesses Rovshan Mirzayev and Tural Ahmadov, who were present during the police inspection of the alleged scene of the fight between Mammad Ibrahim and the victims. The judge rejected the motion. Narimanov District Court, under judge Turgay Huseynov, resumed the trial of Mammad Ibrahim, advisor to the Chairman of Azerbaijan Popular Front Party (APFP). Mammad Ibrahim was arrested on September 30, 2015, following a complaint lodged by former APFP member Mikayil Guliyev. Mammad Ibrahim was initially charged under article 221.1 (hooliganism) of the Criminal Code. About a month later, two others, Oruj Valiyev and Mahammad Gurbanov filed a complaint claiming that during the incident Mammad Ibrahim had punched them, too. Consequently, the initial charge brought against Mammad Ibrahim was replaced by a more serious one under article 221.2.2 of the Criminal Code, which stipulates a punishment of imprisonment for up to five years or corrective labor for up to two years. The first issue discussed at today’s hearing was the prosecution witness Anar Ismayilov’s failure to show up without good reason. Mammad Ibrahim’s lawyer Yalchin Imanov told the court that Anar Ismayilov’s presence was not important, because his statement (provided during the preliminary investigation) was not part of the case against Mammad Ibrahim. In order to avoid unnecessary delay in the proceedings, the lawyer requested that Anar Ismayilov’s witness statement be read out. The public prosecutor objected, arguing that witnesses should testify in person, and if they are abroad, then a document confirming this fact should be added to the case file. The judge ruled that a query would be sent to the State Border Service in order to determine whether Anar Ismayilov was in the country of abroad. During the hearing, Mammad Ibrahim’s lawyer Yalchin Imanov filed several key motions. 1. Firstly, Mammad Ibrahim requested that the (now retired) investigator Mubariz Suleymanov, who led the investigation of the criminal case against Mammad Ibrahim, be summoned for interrogation. “The prosecution witnesses Vugar Abbasov and Elchin Shukurov, who have testified in the current case, told the court that while giving statements during the preliminary investigation, they were put under pressure by a number of police officers. The officers in question included investigator Mubariz Suleymanov, Narimanov District Police Department Chief Fakhraddin Shiraliyev. and several other officers from the same Department. The witnesses said that officers had attempted to coerce them to testify against Mammad Ibrahim, and upon their refusal to do so, had sought to distort their statements. In light of this, it is necessary to summon Mubariz Suleymanov to testify as a witness, in order to clarify what the witnesses’ claims.” The public prosecutor requested the dismissal of the motion, and the judge denied the motion. 2. The lawyer filed a second motion asking to question Siraj Dadashov, the forensic medical expert of the Forensic Medical Examination and Pathological Anatomy Research and Training Union of Azerbaijan Ministry of Health, who had issued the expert opinion #731 dated September 30, 2015, present in the case file. “The expert opinion makes it clear that Mikayil Guliyev, who is recognized as a victim, was referred to the neurologist Docent F. N. Mammadbayov to assess whether he had suffered craniocerebral trauma, and the opinion dated September 30, 2015 was obtained. According to that opinion, ‘the patient complains of headache, nausea, fatigue, cloudy vision, general weakness, sleep disorder and heat sensation.’ Based on Mammadbayov’s opinion, Mikayil Guliyev was diagnosed with a closed craniocerebral injury and brain concussion. Although the opinion is not present in the case file, the expert Siraj Dadashov referred to it and included it in the concluding part of his expert opinion #731 dated September 30, 2015. Whereas, a single-expert examination had been appointed by the investigating authority’s decision dated September 29, 2015. 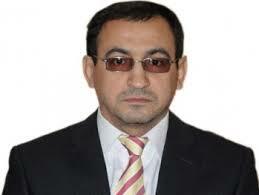 However, Siraj Dadashov exceeded his authority and referred Mikayil Guliyev to another expert, i.e. F. N. Mammadbayov, and included Mammadbayov’s opinion in the concluding section of his own opinion. This means that more than one expert examined Guliyev, in violation of the the procedure requested by relevant officials.a complex examination was conducted instead of a single-expert examination, contrary to the decision on conduction of forensic examination. Moreover, despite Mammadbayov’s input, the opinion was only undersigned by Siraj Dadashov. The second expert should attend court and answer questions from the defense,” said Imanov. The public prosecutor requested that the court reject this motion, but it was granted by the judge. 3. Yalchin Imanov further requested that Parviz Mammadov and Farid Babayev, the witnesses who were present during the visual examination of the victim Mikayil Guliyev’s torn shirt on September 29, 2015, be summoned to testify before the court. “The Visual Inspection Report dated September 29, 2015 reads that Mikayil Guliyev’s shirt has a 33-cm tear around the collar, a 15-cm tear across its shoulder on the right hand side, and a 17-cm tear along the right armpit. But another Protocol, dated October 10, 2015, states that ‘during the visual examination of the shirt, a 5-cm vertical tear from the right-hand side of the collar down the sleeve and a 14.5-cm straight tear from right to left around the collar are visible.’ These conflicting Protocols indicate that the torn shirt was measured several times and different measurements for the size of the tear were noted. The prosecution witness who testified at the trial gave quite a different account regarding the tear on the shirt allegedly belonging to Mikayil Guliyev. He said that Mikayil Guliyev’s shirt had very small tear. Therefore, the questioning of the two witnesses in court is very important.” The judge left the motion unconsidered. 4. The lawyer put forward another motion requesting that the court summon the police officers who stopped Mammad Ibrahim and brought him to police office #18 for interrogation. The lawyer argued that given that they had seen Mikayil Guliyev with their own eyes, they should be able to tell the court whether or not he bore any traces of injury.’ This motion was also left unconsidered. 5. The lawyer’s final motion sought to summon and examine witnesses Rovshan Mirzayev and Tural Ahmadov, who were present during the inspection of the alleged scene of the fight between Mammad Ibrahim and the victims. The judge rejected this motion. The hearing will continue on February 29, at 11.00am.